Trump hit with 1000-person protest in Duluth MN	| Fight Back! 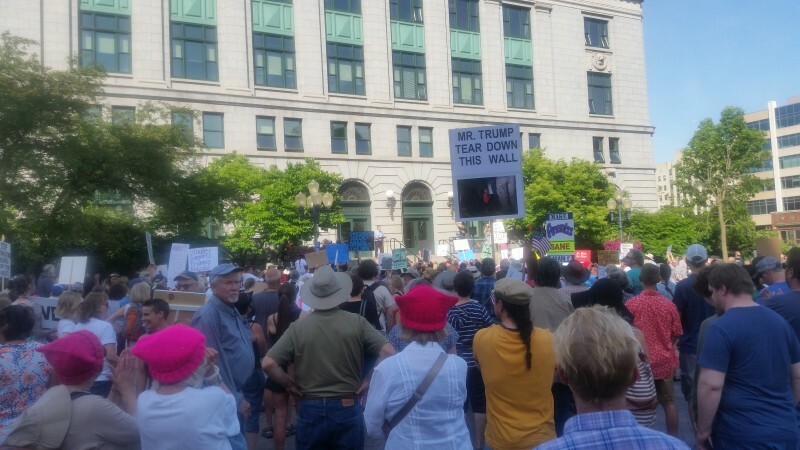 Duluth, MN – About 1000 people rallied in front of city hall here, June 20, for a protest that coincided with a visit of President Trump. The protesters, whose ranks included a fair number of trade union members, blasted the polices of the Trump administration. Many demonstrators carried homemade signs that assailed Trump’s anti-immigrant measures.